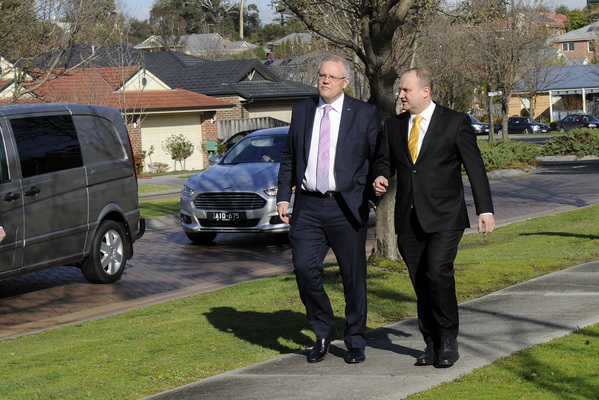 Cardinia Shire bombarded Scott Morrison with a congestion-busting wish list during the Prime Minister’s tour of Pakenham – his first visit to Victoria since seizing the top job. Escorted by Latrobe MP Jason Wood on Friday 7 September, Mr Morrison examined traffic at the bustling McGregor Road level crossing. It came weeks after the launch of Star News Group’s Unblock the Gridlock campaign, urging both tiers of government to invest in the south east’s gridlocked road infrastructure. In the heart of Pakenham, Council General Manager of Assets and Services Mike Ellis approached the PM, reeling off a list of the region’s most egregious arterials. “Prime Minister, there’s quite a number of issues as you come through the growth corridor and a lot relate to level crossings,” Mr Ellis said. “This road here, McGregor Road, is a major arterial road as it connects to the Freeway and the Princes Highway. “Vehicles come in, get effectively logged down here and you get the bank up of vehicles that go right back to the bypass and it takes people 10-15 minutes who reside here to get into town. “We’ve got rail level crossings at McGregor and Cardinia Road and to the east of Racecourse Road we’ve got the stabling yards being built. In response, Mr Morrison admitted that as a Sydneysider he was not attuned to Melbourne’s rail crossing issues. Amid his latest Cabinet reshuffle, the PM appointed former Pakenham resident Alan Tudge as the Minister for Cities, Urban Infrastructure and Population. “This is a very Melbourne problem; in Sydney we certainly have traffic, but we don’t have the same issues because we don’t have level crossings,” he said. He repeated the phrase “congestion busting” a number of times as he spoke about the pressure of Pakenham’s traffic gridlock as one of Melbourne’s growth corridors. It comes after the State Government undertook a highly-publicised level crossing removal at Overton Road, Frankston – despite it accommodating just 4000 cars per day when the project was announced in 2016. McGregor Road, which has not been upgraded in decades, yielded a daily traffic count of 12,000. During his visit, Mr Morrison also spruiked the second stage of the long-awaited Monash Freeway upgrade, describing the thoroughfare as a “parking lot ” and reflected on the region’s burgeoning gang crisis. “The only thing I get frustrated with, particularly around the Monash, is when you make the commitment in the budget to get stuff done and then there are just delays and delays,” he told Star News. 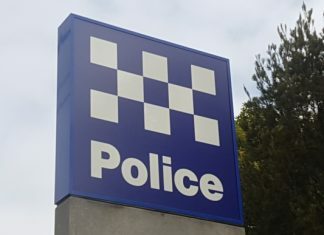 “As for crime, all cities have their challenges with communities, Sydney we have our challenges, but we don’t seem to have the problems that exist here in this part of Melbourne. During a media event in Frankston later that day, the PM hinted to reporters about the possibility of a “congestion-busting” announcement. “We were looking at that Pakenham corridor, which is another big challenge for Melbourne,” he told reporters.